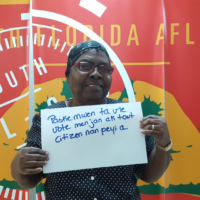 MIAMI - Ahead of the November elections, a coalition of labor and immigrants' rights groups is helping South Florida residents become naturalized citizens. 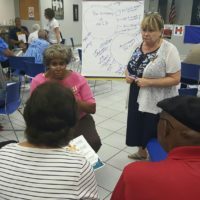 The Central Florida AFL-CIO, working with community partners, affiliates and the Florida Immigrant Coalition (FLIC) recently launched a leadership development program to empower leaders in the immigrant community to champion initiatives that improve the lives of workers, their families and communities in Central Florida. 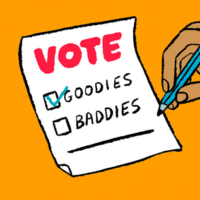 A recent report sheds some light on just how important the Latino vote is in this year’s election, especially in Florida. 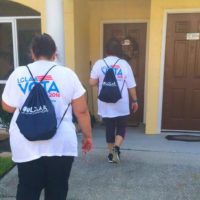 This past weekend, the Florida AFL-CIO kicked off the largest ALL-volunteer based electoral program in the state to prove again that passionate volunteers are the key to victory in November. 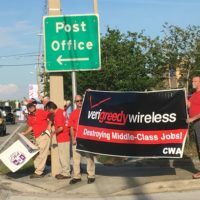 Verizon is trying to change workers schedules and cut their pay not out of financial hardship, but blatant corporate greed. 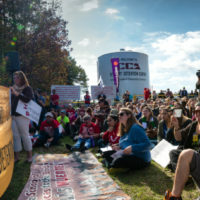 I went on a trip with a local faith based advocacy group to visit immigrants being held at Corrections Corporation of America’s (CCA) Stewart Detention Center in Lumpkin, GA. What I witnessed was truly inhumane. In the video above, sisters and brothers from 1199 SEIU Florida take a stand in protest on the hot streets of South Florida. Caregivers at Consulate work long, hard hours doing the essential job of caring for our parents and grandparents as they grow old. 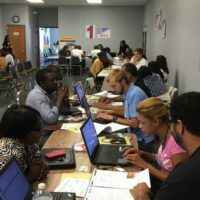 In our latest Community Changemakers, Michelle Guerin, Field Representative for the Southwest Chapter of the South Florida AFL-CIO, sits down with former Ironworker, Larry Aguilar, to talk about labor, apprenticeships, immigration reform and local community work that’s helping provide new opportunities for disenfranchised youth in the Ft. Myers area.